Welcome to Turtle Nirvana! | Zoo Med Laboratories, Inc.
Nirvana may be defined as any place of complete bliss, delight, and peace. This is what the turtles and tortoises in Zoo Med Labs Greenhouse can expect to find. 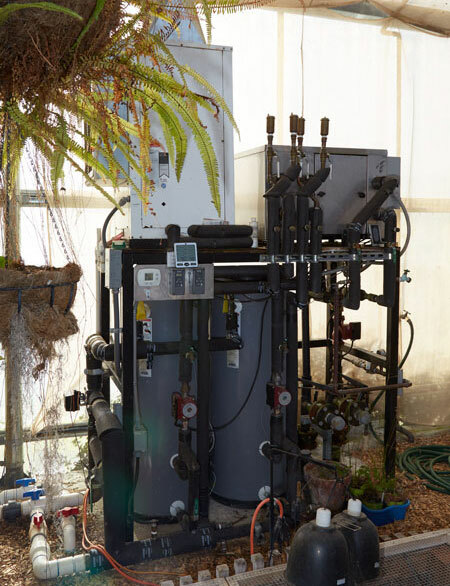 After years of work and adjustments, the state of the art greenhouse facility at Zoo Med Lab’s California Headquarters has become a wonderfully natural environment and has proven capable of sustaining all stages of chelonian life. There are currently about 30 species of turtle and tortoise living in the Greenhouse. Most of these groups have been observed mating and have begun laying eggs. Of the 30 species housed in the greenhouse, 22 of them have successfully reproduced with six species successfully incubating in their parents enclosures! 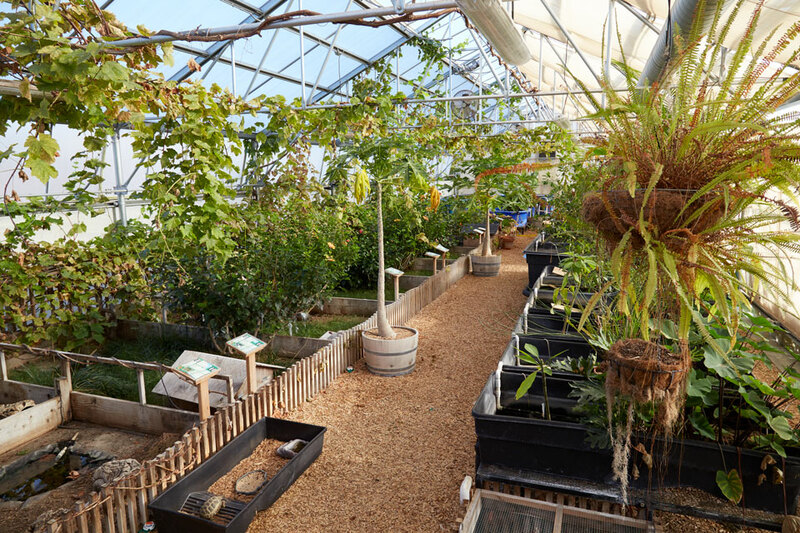 Zoo Med animal staff is thrilled to know that our greenhouse has become such a wonderfully natural environment. 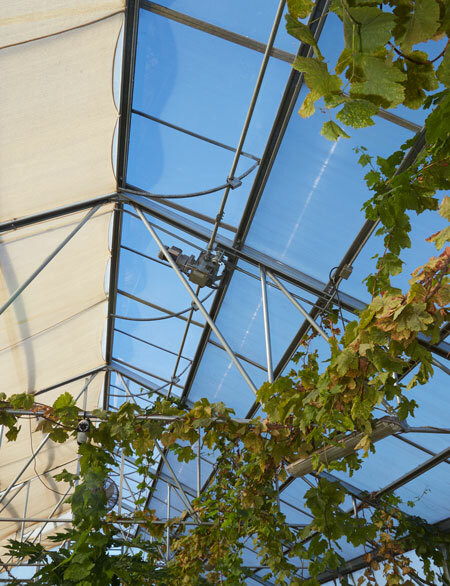 The greenhouse has UVB transmitting roof panels, thermostatically controlled vents and a remote temperature monitoring and control system. To reduce our carbon footprint, geothermal energy is used for heating and cooling. All the re-circulated water used in this facility is heated using this renewable energy source.